Each one of our storage facilities is designed to properly organize and securely store any or all of your belongings. Whether it is for a few hours or for a few years, we can arrange an affordable custom storage service to meet your unique needs. So, let us pick up your belongings, store them, and then bring them to your destination when you are ready. 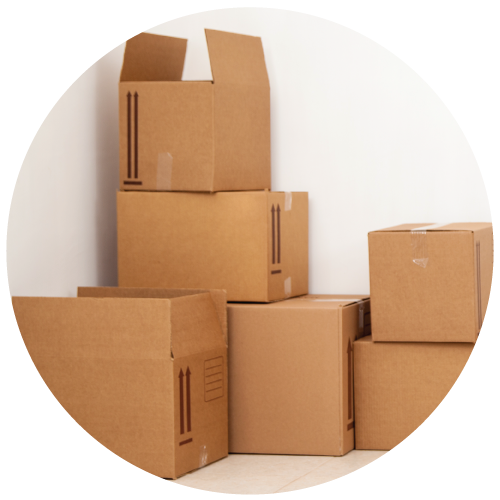 We also offer boxes and other supplies that are necessary to make your move a successful one! Packing - Leave the hard stuff to us! Blue Truck Moving takes the headache out of moving by carefully packing your items for you. Moving - All of your possessions will get from your old location to your new location safely and easily. Storage - We'll store your boxes or other items in our climate-controlled storage services facility so that they're out of your way until you want them. Assembly & Disassembly - Some large and bulky objects are easier to transport in smaller pieces. We can come to your location, disassemble, pack, move, and reassemble these items in your new location so you don't have to lift a finger. Labor Only - If you prefer to pack on your own and just need some extra hands to help move, Blue Truck Moving is here to help.